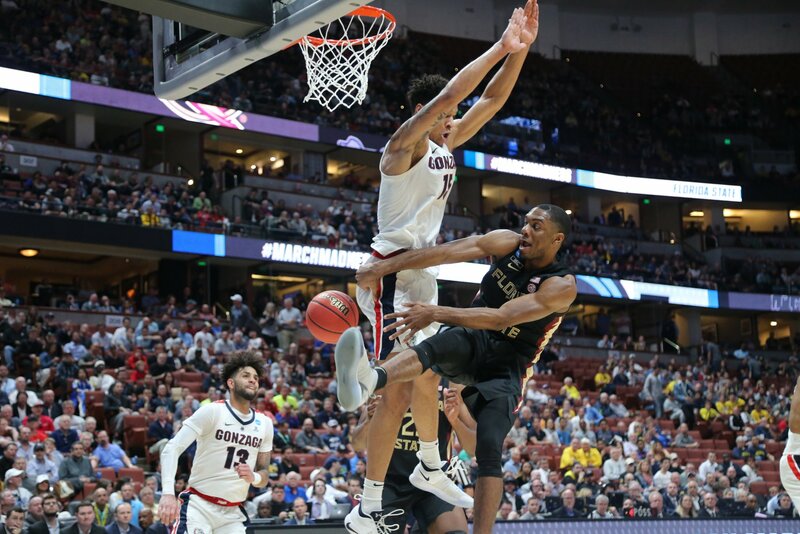 A record-breaking season for Florida State came to an end on Thursday night as top-seeded Gonzaga finished strong to top the fourth-seeded Seminoles in the Sweet 16 in Anaheim, 72-58. FSU (29-8) didn’t get off to the greatest start as it fell behind 33-19 early. 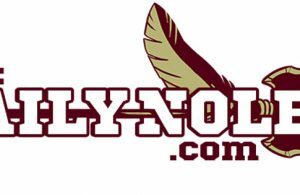 The Seminoles were able to crawl to within eight late in the first half before Josh Perkins’ 3-point play off a steal in the final second pushed the Gonzaga lead to 38-27 at the break. In the second half, FSU was able to cut the lead to 60-56 with more than four minutes to play and got a timely stop, but freshman Devin Vassell was unable to convert inside. The Bulldogs (33-3) used a Zach Norvell 3-pointer on the other end to ignite a 12-2 run to end the contest. FSU shot just 39 percent from the field and 3-for-20 from deep. Gonzaga wasn’t much better, shooting 40 percent and 7 of 19 from distance. Where the Bulldogs held the advantage was on the glass and the foul line. Gonzaga outrebounded Florida State 45-36 and went 15-for-20 from the charity stripe to 7 of 11 for the Seminoles. Trent Forrest led FSU with a game-high 20 points, five rebounds, four assists and three steals. Christ Koumadje and Mfiondu Kabengele each added eight points. Kabengele and Terance Mann tied for the team-lead with eight rebounds. Rui Hachimura led Gonzaga for a second straight year in the Sweet 16 with 17 points. He finished with 16 in last season’s 75-60 loss to FSU. Brandon Clarke added 15 points and a game-high 12 rebounds. Norvell and Perkins each scored 14 points. The Bulldogs will advance to the Elite Eight or the West Regional final to face either second-seeded Michigan or No. 3 seed Texas Tech. 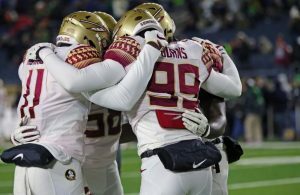 After setting school records for wins and ACC wins, the Seminoles’ season comes to an end. 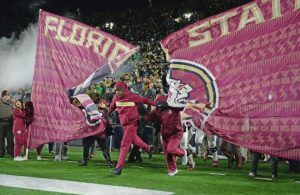 FSU’s senior class won more games than any other class in program history.